Discussion about Europe hierarchy (that is, why some countries are in some regions) should take place in Talk:Europe/Hierarchy. 3 How do I get to Prague? 39 Countries not listed by region? The top ten cities list currently has eighteen cities in it. This seems silly, but I don't want to arbitrarily remove eight of them, partially because there is zero possibility of getting anyone to agree on which eight should go. Therefore, I'm suggesting making it a top twenty, and adding two. How do I get to Prague? Ten new members of EU are party of Schengen Agreement. Just not all rules apply yet. criteria on the basis of a realistic timetable for implementing the Schengen Agreement. dismantling of internal border controls. "Likewise, a visa granted for any Schengen Agreement signatory country is valid in all other countries that signed and implemented the treaty." Since when? Do you have a source for that? Last time I inquired (November 2004), that wasn't true in every case. Some visa are only valid for the country that granted it. Schengen countries as well. (...) You may need a national visa to visit Ireland, the United Kingdom and the new member states. Some new member states accept Schengen visas or Schengen residence permits so check with their consulates. What do you think about adding these links to the page? There is no continent of Europe according to my daughters Geography text. It's merely a sub-continent like India. Both Turkey and Russia lie wholey in the continent of Eurasia. Europeans would like to change continental plates, but it won't happen anytime soon. Both Turkey and Russia straddle the European invention of Europe and Asia (actually Eurasia). Get used to facts. It only applies to passengers flying from an EU airport or from an airport outside the EU to an EU airport on an EU carrier. passengers flying from an EU airport: it applies to every carrier, not only EU-based, right? For example, if Aeroflot (which is Russian airline) flies from Athens, these regulations can be applied, am I right? from an airport outside the EU to an EU airport on an EU carrier: is there any formal definition which carrier should be considered EU in this context? For example, if the same Aeroflot flies from Moscow to Athens, are these rules applicable? I sent email and received a reply; posted both under Talk:Europe/DeniedBoarding. Will extract relevant info later -- or encourage someone to do that before me. The french island of Reunion, located east of Madagascar, is also part of Europe. With all do respect here, this map uses a quite wrongful division of Europe. First thing that comes to my mind - Bulgaria is not in Eastern Europe in the sence you present here. East and West are not what they used to be. East used to mean communist, and West democratic. Even Greece was labled Western Europe under that criteria. But it's time to categorize Europe within cultural and historical limits. If you follow the old criteria then you should put Serbia, Macedonia and all the other ex-communist countries in Eastern Europe too. 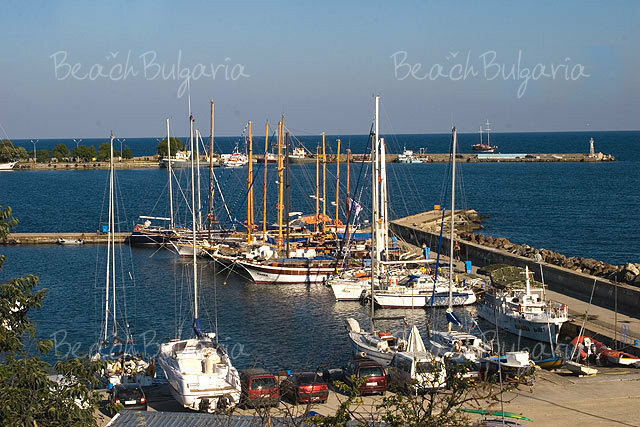 Historically, culturally and geographically Bulgaria is in Southeastern Europe a.k.a. the Balkans. Serbia and Macedonia don't even have a coastline, they are landlocked!!! Not to mention the Med sea. Bulgaria had Med sea coastline to the south, before it lost it to Greece in WWI. Now the Med is only 30 km away from the south border with Greece. Second of all, I think the whole map needs to be reorganized. You can not group East and West Med together! They are very different. We need a Balkans or Southeast Europe category (or east Med if you will). Then you also need to put a Baltics cetegory - also different from Eastern Europe in a sence. I read it so what? You proposed it...but it makes no sence. Bulgaria has very little in common with the East European states. Geographically it is in South Europe. Med sea is like 30 km way from the south border. Used to have Med sea coast till WW1. South Bulgaria has Med climate. Culturally and traditionaly a South Europen state. Part of the Ottoman Empire and so on...name something in favor of placing it as E Europ. If you drew a line down the middle of Europe, Bulgaria would be in the East. Bulgaria is a former communist country and shares economic, political, linguistic and historical ties with the other Eastern European countries. My friend I want you to tell me base on what do you group the countries here? Serbia and Macedonia have no Med coast and have the same culture and traditions and virtually the same language - Bulgarian and Macedonia are almost the same. Still SR and MK are put into the Med Europe. Following your logic, if we were to prepare a travel guide before 1991, they would be put in Med as part of Yugoslavia. It really makes no sence. I believe that the whole grouping is wrong. There should be a seperate Groups for Balkans and probably Baltics too. Med and East Europe are too broad entities. History, tradition and culture should play the major role in grouping the states. Grouping a southern country like Bulgaria with a nothern country like Estonia is deceiving: far away, nothing in common, diff climate, tradition and culture. Oh yea they share the same time zone...but so do Egypt and South Africa...lets put them in E Europe too! Hey! I'm really glad that you are interested in Wikitravel, and in the geographical placement of Bulgaria. Thanks for contributing! It kindof seems like it's really important to you that Bulgaria not be grouped either with Estonia or with the Balkan countries. OK, cool. Can you try however to make your arguments as much as possible from the point of view of the traveller? As for the rest of us, I think that we should try to imagine that as travellers discover Bulgaria they might well find that they no longer think of it as belonging to some amorphous east, but that it it more like a southern country. Hey Mark. I make my request base exactly on what a traveller would expect to see in Bulgaria. I say that the whole grouping here is flauly. I certainly would not mind if Bulgaria is put into the BALKANS group (we need to create it first). Actually, I am FOR that. It is the best solution actually. Because Bulgaria is 100% Balkan state. My point is that Bulgaria has very little and sometimes nothing to do with the countries it's grouped with here - diff. culture, history, architecture, tradition, climate, customs and so on. On the other hand, Bulgaria shares alot with the rest of the Balkans - almost identical culture, traditions, climate, history, architecture and so on.Even the languages of the southern Slavs are for most part mutually comprehensible if yr a native speaker of one of them (except probably between Slovene and Bulgarian being the two ends of the language subgroup). My point here is that if one is exploring, let's say ex-Yugoslavia he/she may decide not to cross the border with BG coz it falls into a different region of Europe - a traveller would expect to find something different in Bulgaria, something similar to Russia and the Baltics...but for most part he/she will come accross cultures so close to those of the rest of ex-Yugoslavia that they are hard to distinguish. Western Europe (Iberia, UK, France, Germany, Benelux, Swiss, Italy), Northern Europe (Scandinavia, Iceland, Baltic states), Central Europe (Poland, Hungary, Czech R, Slovakia, Bulgaria and Romania), Eastern Europe or CIS (Russia, Ukraine, Belarus and Caucasus), South Eastern Europe (Balkan countries, Greece). All respect, but Turkey is not part of Europe. Russia, Caucasus and Turkey appears both on Asia and Europe list. Please consistency! How Portugal be in one group with Serbia ? Switzerland and Germany in Central Europe ? Curreny division of countries is misleading travelers. One can not travel from Bulgaria to Estonia with passport or entry visa for Bulgaria, you need to get many visas, but you can travel freely around Central Europe region or Eastern Europe region. Those people who are expecting similar culture and experience in Portugal, Serbia or Albania might be misleaded. Wikitravel should be updated with realities of the world as well as recent political changes. I know that there's no "I". Nevertheless, I'm not sure about visas and wanted to remark that. I tend to think that you should just say what you think, and someone else will correct you if you're wrong. Anyways, I was taking out the 1st-personisms in EU, and I thought of the phrase, and then I thought: "There is no 'I' in 'wiki'" was funny, because there are a lot of i's in "wiki". Germany is a member of the European Union and the Schengen Agreement. European visa policy will be covered in the article about the EU. In brief, a visa to any other signatory state of the Schengen Agreement is valid in Germany too. No visa is required for citizens of other EU member states, and those of some selected nations with whom the European Union or Germany have special treaties. Inquire at your travel agent or call the local consulate or embassy of Germany. Also, there are no border controls between Germany and other Schengen Agreement nations, making travel less complicated. The Schengen agreement is made to lift the compulsory borders controls and mostly to have a single visa stamp for nationals of non EU countries. This is why for instance a Brazilian national can enter Portugal with a Schengen visa, travel freely to France, but cannot enter the non-Schengen UK. It does not mean that borders may never be checked. There are often border controls between Schengen countries: Spain/Portugal, Spain/France, Belgium/France. If you travel by train from Germany to Holland, you may have a passport control done by Dutch border policemen, while the train is crossing the German/Dutch border without stopping. This is meant to look for criminals, illegals and drug trafficking. Also, the Schengen visa is valid for traveling, not for emigration. Ex: An Argentine living legally in Spain, with a valid residence/working permit, is allowed to travel through all the other Schengen countries but cannot work in Schengen countries other than Spain. So we've got three groups -- European Union, countries that use the Euro, and the Schengen Agreement countries that have some sort of common visa setup. They overlap heavily, of course, but my understanding is that no two are exactly the same. UK is in EU but does not use Euro, Norway is in Schengen but not an EU member, and so on. Do we need three maps? Or one map showing how they overlap? Or maybe a table, countries down the left and three columns for status? Hi Skyduster! You raise a very interesting and important point, but please don't edit the main page before we reach a consensus. This is not the first time this question is pointed out and probably not the last one. First of all, you are right, these "regions" are arbitrary. The idea is not to rely on official data (i.e. political) or just geographic (with have other wikis for that) but something understandable and useful for the traveller, because the The traveller comes first! Mediterranean Europe was used for years to qualify the Southern countries but, as it has been pointed out on this page, Portugal does have no access to the Mediterranean sea! Otherwise, yes, it would fit perfectly to qualify countries with each their own specificities, but having in common more sunny days, a less stressing way of life, the use of olive oil instead of butter in the traditional cuisine, etc. France is a tricky case as it shares a double culture AND geography, as the South is, well, indeed, fitting to the South description while Paris and the rest of the country has actually more in common with England, Belgium and let's say, Switzerland. In the option of a less detailed map, I suggest We group these countries into a general "Southern Europe" which would be detailed into Iberia (by the way, Gibraltar can be added to this group), Italian Peninsula, Malta and the eastern group, Greece, Turkey and Cyprus. I agree on what you say but Cyprus is precisely the link between Greece and Turkey. A lot of travellers who are seeking a complete experience feel natural to begin their trip in Istanbul then visiting Greece (before heading to the Balkans) and what you are seeking in Izmir is what you are looking for in the Greek islands etc. Northern Greece has also a lot of in common with Turkey and young people there feel more in common with young Istanbulites rather than Romans. Cyprus actually appears on old maps grouped with Near-East rather than with Greece and as a matter of fact, Turkish -and British- influence is not something light. Actually, Cyprus could be grouped with Malta in a very relevant way! Western Europe: France, the UK+Ireland group and Benelux could definitely stand there. (still in the idea we add another level.) Germany is tricky, but it could join the group I guess, if we suppress the Central Europe group. Along with Switzerland and Austria. Eastern Europe: basically all groups east to the previous. Slavic or Baltic. I don't develop too much here because I'm definitely not expert and experienced in this part of Europe. Northern Europe: nothing to change, it groups Scandinavian countries. Does Finland consider itself as Scandinavian? Does it not sound simpler and clearer? ² Kosovo (administered by the UN) uses the Euro as its official currency. Regions? How arbitrary is that? Why Poland is not Eastern Europe when it is far more eastern than Serbia? Why Bulgaria is not South Europe and Macedonia is? What's the point with making the regional classification on the first place? And don't forget the toll roads in France... just pop your Mastercard in and the payment is made without any verification... safe... —The preceding comment was added by 88.81.137.77 (talk • contribs) . Actually they should be called EMV compliant cards, as is the name of the standard. Their popular name in USA is chip-and-pin, however they may be credit or debit and some countries place extra verification schemes, such last digits of SSN, birthday, ZIP code, etc. It will be nice to have a description about a country specifics, for example in Paris you may only rent a bike with french magnetic card of foreign "chip card". The same applies for 24/7 gas stations, but you not for POS. PS. You can pay without PIN on toll roads, because the operator accepts the refund risk, providing that each sum is small and they keep pictures of the vehicle, so it easy to prove that it was you who used the card. I have some difficulties to understand the purpose of considering France+Bénélux as a unique same region?... You might say that France borders Belgium; well that true but France borders also many other countries with more lentgh. Is it about cultural similarities? well, appart Wallonia that can share some geographical and cultural similarities with Nord-pas de Calais region, most of Benelux is defined and dominated by Dutch culture. Dutch culture is a "north sea culture" light years much more similar to northern German's or English's ones than to french one absolutly all aspects (germanic language vs latin language; protestant influences vs catholic ones; "north sea" culture vs mediterranean culture; architecture, food (beer vs wine culture); etc. For those reasons, the association of Netherlands with France is complelty misleading: is really Amsterdam more in the same region of Europe than Marseille or Corsica? despite having huge cultural divergences the Both countries (France and Netherlands) do not even share a common border; nor a similar geographical position (Netherlands lies just in front of the UK, with a simlilar culture and climate than England; but deeply different with France. Us, french people we consider Netherlands to be northern European country, in the same group than UK, Germany and Scandinavia, but would never thing being part of the same sub-group inside Europe. France might share language with about 40% of Belgium (1/6 on Benelux only), but share almost nothing with Dutch-speaking part of Benelux. France also share it language with a part of Switzerland, but it is no a reason to lump France with central Europe... Geographically and culturally France share much more with Italy or Spain (to which it has its longest borders) than with Netherlands, with which it doesn't share any particular cultural affinity or geographical ensemble (not sharing north sea culture and geographical position; not same climates; not same language and dominant religious traditions!) France would much better reasons to be associated with Italy and Spain (with which it shares similiar language, catholic traditions, bordering the mediterranean sea, historic and cultural links to the roman empire... and long common borders! not with a "distant" northern European country like Netherlands! Well, France might be geographically more or less between northern and southern Europe but we could quite realistically that culturally it has clearly much more in common with Italy or Spain than with Netherlands, England or Germany: A latin language of course, catholic herency, wine culture, many apects of mentality. It is a "light mediterranean" culture if we could say so; but still more mediterranean than nordic. Only some bordering areas of northern France have more similarities with Benelux (Nord-pas-de-Calais); and areas of the north-east with central Europe (Alsace-Lorraine-Franche Comté). The whole southern half of France is clearly southern European as much as Italy can be, both culturally and geographically. The rest of the country, in the northern Half is a world in itself and not easy to classify; it is geogaphically between northern and southern Europe (same latitude than Switzerland, Austria or southern Germany); linguistically Romance (so more inclined towards south); catholic-based. This northern half of France still has a majority of aspects of mediterranean culture, even if they can sometimes are "lightened" by the contact with some more nordic aspects such as climate, vegetation, or nordic invasions (in Normandy for exemple). Geographically speaking, even if northern half of France is not in southern Europe it is hard to say that it would be in northern Europe; it still is mainly situated a few hundreds of kilometers more south than Benelux or England and doesn't share many aspects of these regions (benelux, Germany of England are heavily densily populated, with large former heavy industry areas (with similar red-brick architecture) when most of the northern half of France is complelty different; much more rural, relatively not densely populated. Alps, South-Central Europe - Very popular mountain range for skiing with the Mont Blanc as highest peak. Cinque Terre National Park, Italy - A gorgeous national park, which connects five picturesque villages. Chernobyl, Ukraine - The site of the infamous nuclear meltdown on April 26, 1986. La Alhambra, Spain - Part fortress, part palace, part garden and part government city, a stunning medieval complex overlooking Granada. Neuschwanstein Castle, Germany - The well-known fairy-tale castle in the Bavarian highlands. Meteora, Greece - Six Eastern Orthodox monasteries built on natural sandstone rock pillars. Plitvice National Park, Croatia - Beautiful turquoise-colored lakes surrounded by a large forest complex. Stonehenge, United Kingdom - The well-known Neolithic and Bronze Age stone monument located on Salisbury Plain. Strokkur, Iceland - One of Iceland's most famous geysirs, it generally erupts about every 4-8 minutes. Trafalgar Sqaure - Most visited site in Europe according to Forbes. The Pantheon, thought to be the oldest building in Europe in continuous use. A high-speed train crossing through some pretty, generic, landscape. Feel free to add other idea's to the list, I was thinking we could find a consensus for the motif, and then hunt around for some nice pictures of it to nominate. Thoughts? Suggest the Scandinavia is replaced with Nordic. Scandinavia usually refers to the Scandinavian penisuala which is only Norway and Sweden, and incorrectly to the Nordic countries as a whole. Nordic would be a better way to describe these countries. 1- If you need a visa to get into the Schengen area, can you apply for it in any embassy of a Schengen country? what about in the border/airport ? 2- For countries like Costa Rica, which do not need a visa to enter the Schengen area, do they get by default (usually) the 3 months stay? Can you get in and out of the Schengen area in the given time? if not, do you have to previously apply for a multiple-entry visa? Regarding Question 1 - If you are going to stay in just one country, you should apply in that countries embassy. If you will be in several countries but most of the time in a particular one, then you should apply for the visa in that countries' embassy, and last if you plan to just travel around without staying in a same place a long time, then you should apply in the embassy of the country where you arrive... I dont know how much they enforce this. Regarding question 2- Once you enter the Schengen area, with or without a visa, you are considered to have one. So, if you get a 90 day visa-free, thats the equivalent as having gotten a 90 day visa. Anyways, if you go out of the Schengen area, you dont get the "counter" restarted, just paused. It gets restarted after 6 months. Countries not listed by region? I've removed it (and several others that have crept in over the last few months). Did you not bother to read the lengthy discussions here or the HTML comment at the head of the "Cities" section that has read for a long time: "DO NOT CHANGE THIS LIST BEFORE reaching a CONSENSUS on this article's DISCUSSION PAGE!" ? Since when Romania and Republic of Moldova are Balkanic countries. Especially Moldova, Romania is a Central Europe country. As suggested by IBAlex i am opening this discussion to see if i will be able to add Calabria in the "other destinations" paragraph. Calabria is in fact a larger region full of activities to do and places to see.... i suggest to use it to replace Alhambra, which is actually only a part of the city of Granada in Spain. Shouldn't Lisbon (capital of Portugal) be part of the top 10 list of cities? Portugal and Lisbon in particular are having a big rise in tourism in the last couple of years and winning prizes after prizes for the best destination in the world by the most respected and well known tourism agencies and organizations. Last years of 2010 and 2012 Lisboa was voted the best city to travel in the World and in 2011 and 2013 we were the 2nd best city. Magazines like Condé Nast, Lonely Planet and Globe Sports are placing Portugal as the best WORLD tourism destination for 2013 and 2014. I think Berlin or Moscow should be replaced, not because they deserve it, of course they don't, they are wonderful beautiful cities but they are not experiencing this rise in tourism and their hotels and accomodation conditions are not the best compared to Lisbon (particularly in Moscow). Sarajevo - the capital of Bosnia, is a small city, but nice, because its museums shows nearly everything you want to hear about. This page was last edited on 20 June 2018, at 19:16.